Sunny days and Picnic! - Oh So Girly! Today I got inspired by one of my favorite singers to write this article. When I first listened to Colbie Caillat it was like if the room I was had suddenly been transported to a house near the beach. Her music style makes me think of nice sunny days, where the sun light gives everything a happier color like a dreamy picture. I remember to listen to her song “Dream Life life” and wonder the same: “Dear summer will you find your way back home? I miss your golden kiss, how you warm my skin. Where did you go?” Well, after all these cold months and grey sky, our dear friend Mr. Sun has finally come back bringing the wish to spend most of the time outdoors. So it is time to find ourselves planning a nice day out with our friends by the green grass, looking at the beautiful spring flowers and getting a nice tan. 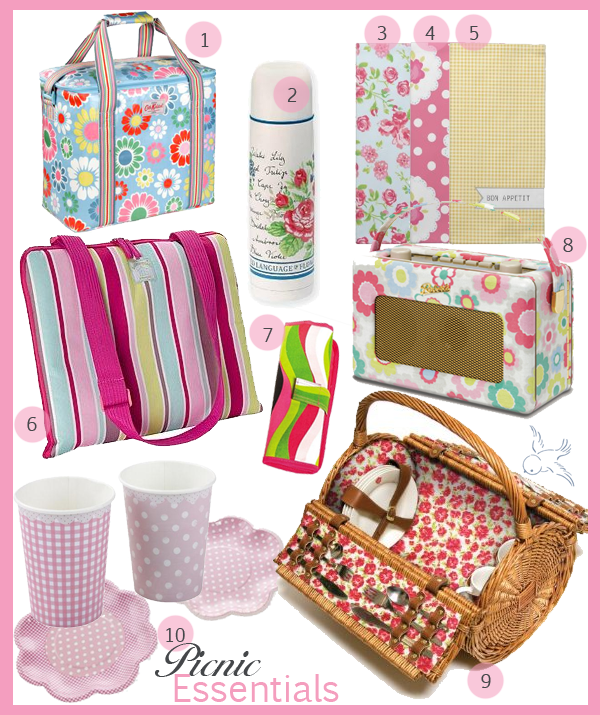 On this article I am going to show you some girly finds and list some must-haves for a good time with your friends. Food, gossip, magazines and laughs! Planning a picnic with your friends on the closest park is a great idea. So let’s list things we should bring, shall we? Pack a picnic basket with summery salads, a classic quiche and other tasty treats. Keep your drinks fresh by using Cool Picnic Bags or Themo Bottle flasks. A good idea to bring your forks, knives and spoons is a simple utensil wrap, there’s not need for plastic cutlery. You can keep your plastic cup stylish and girly with some pink polka dots and gingham patterns, just like the paper plates! 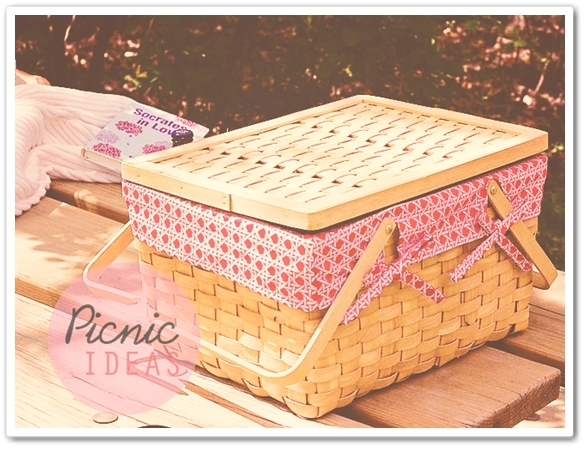 Sit on a colorful picnic blanket white speaking to your friends, and don’t forget a good music as background! What are your favorite picnic dishes? Do you prefer to eat salty or sweet when outdoors? What are your favorite places to have a picnic?